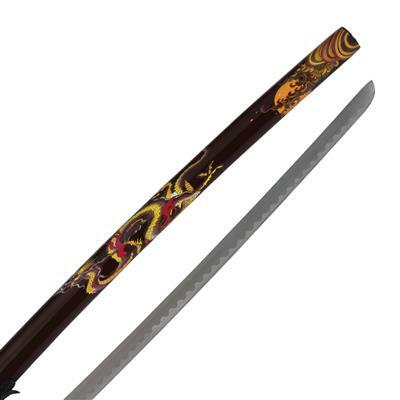 This full-color painted scabbard features a golden Eastern dragon above stylistic waves and vibrant colors. 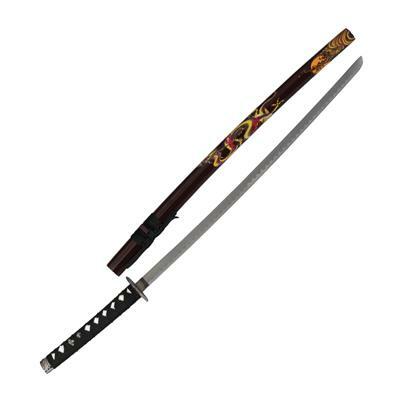 The blade is stainless steel, and, from tip to the end of the hilt, measures 37” long. A black cord-wrapped hilt completes the look. For decoration only.